The new UI introduces a new way of handling strategies and pairs: you can now save presets of your settings for them to run at any time (called ‘setups’). Get familiar with the basic concepts. Only use the import function to import config.js files from the same Gunbot version! Create a password for your Gunthy GUI. 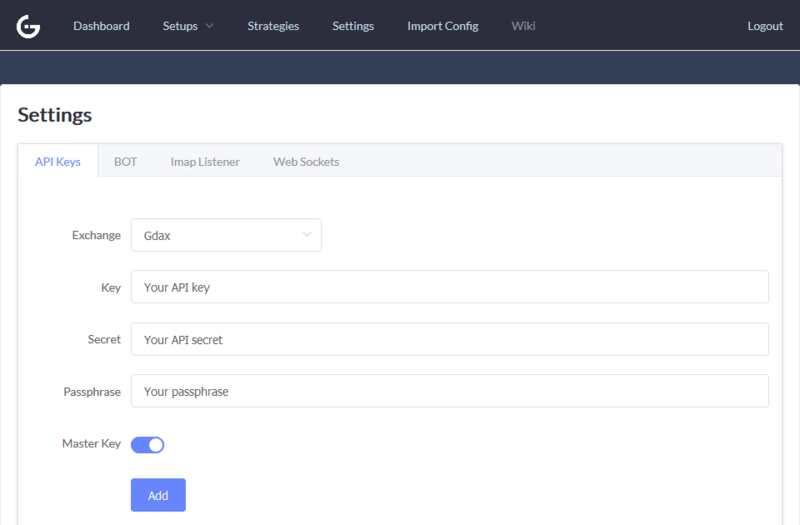 When opening Gunthy GUI for the first time, you have to setup a password first. Make sure you remember it. Add your exchange API key & secret. You only need to do this once. 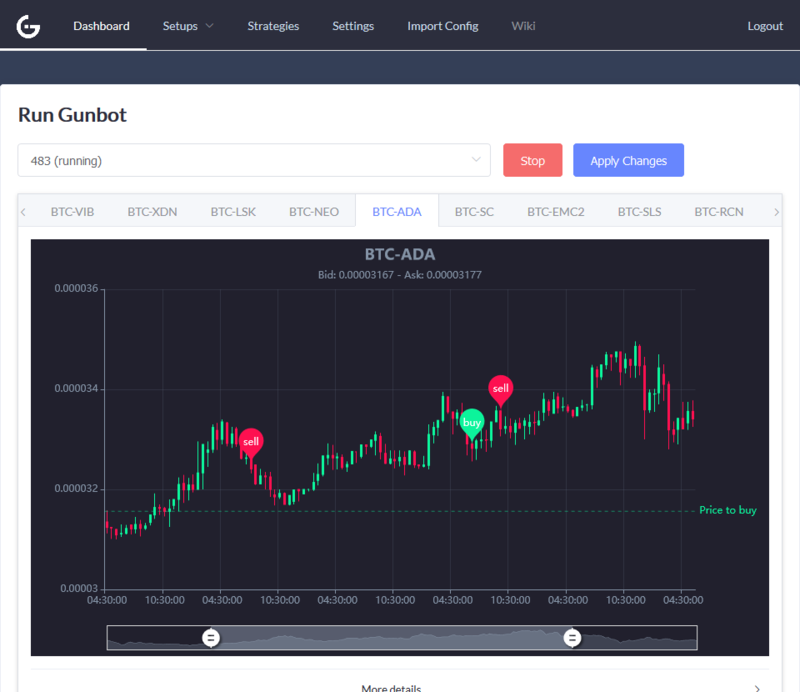 This is essential for Gunbot to be able to trade. Configure your trading strategies. Edit all your strategy settings on a single page. Create a setup and save it. 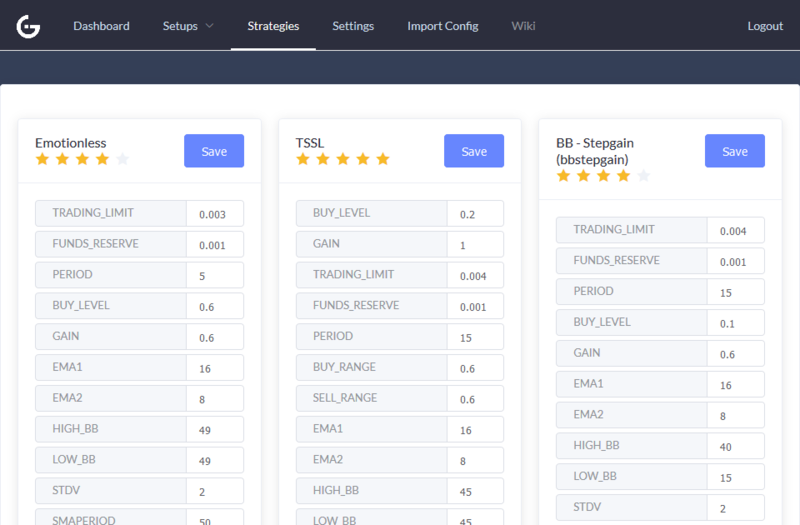 This is where you select your trading pairs and set strategies. Adding overrides If you want to override settings for a single pair, do this on the edit setup page too. 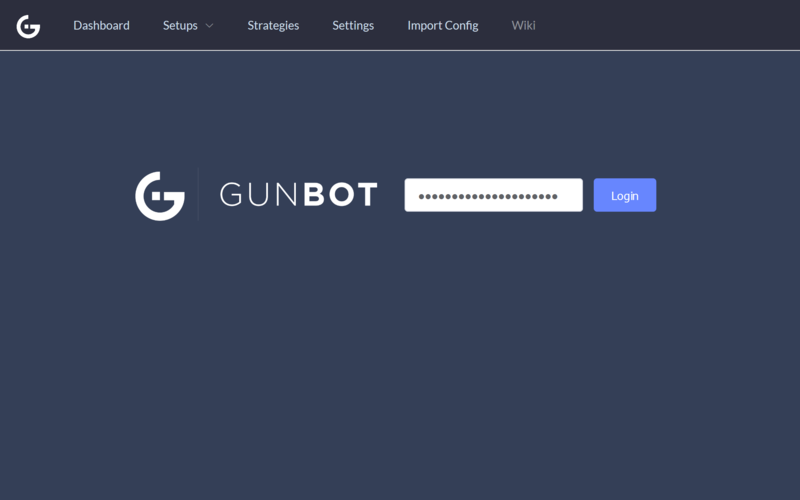 Preview your setup and run Gunbot at the dashboard Use the preview function to double check on your setup before activating it, When all looks good, run Gunbot directly from the dashboard. You can have many different setups and run them all at the same time. 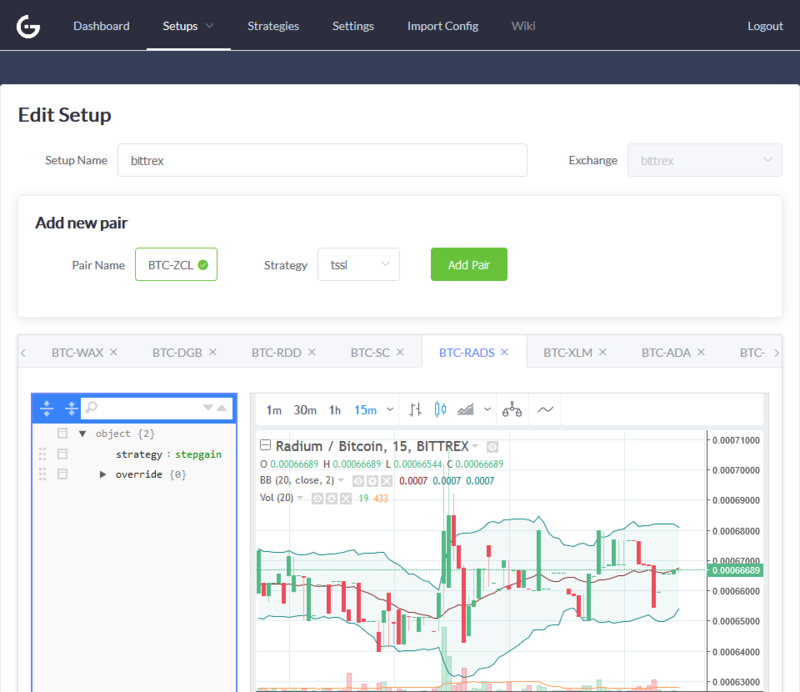 You could for example have two setups for different exchanges. If you’ve made any changes to a strategy or setup, you can apply these to a running setup on the dashboard. If you forget the password for Gunthy GUI, remove the file db.sqlite to create a new one. You will lose your settings by doing so.